Sometime in the 1990's, browsing art shops, I bought a linoleum block and some basic carving tools, and began to experiment with block printing. At my first "aha!" moment, when I peeled the paper off the block and saw my image transferred onto paper, I began to fall in love with printing, and kept it up off and on as a hobby for quite a few years. 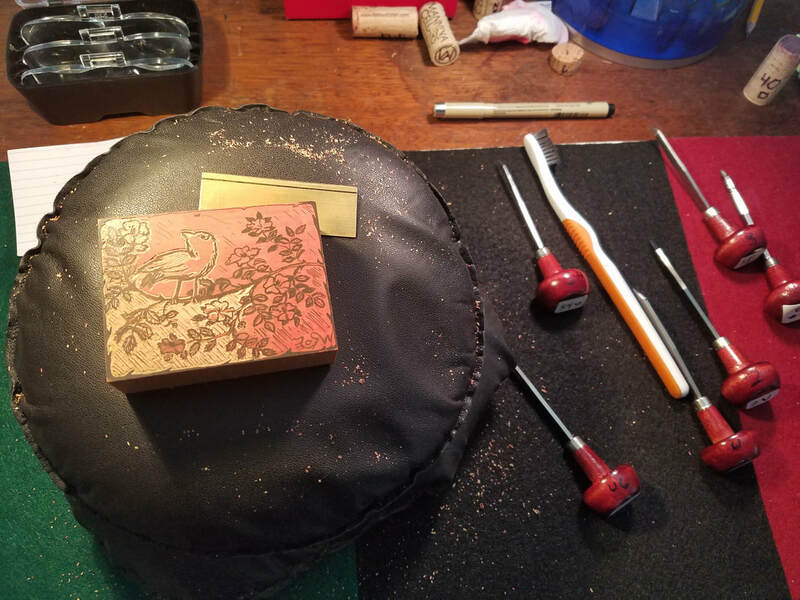 In 2017 I became a student of Seattle wood engraver and letterpress master Carl Montford. I've acquired an interest in letterpress printing, producing broadsides -- text and images -- like the one you can see below with other examples of my work in wood engraving and linocut. ​Perhaps my work will inspire you to try a linocut or wood engraving, or to learn more about the remarkable history of printing and engraving. Please get in touch if you have any comments or questions, or would like to share ideas about this challenging and multifaceted arts craft.